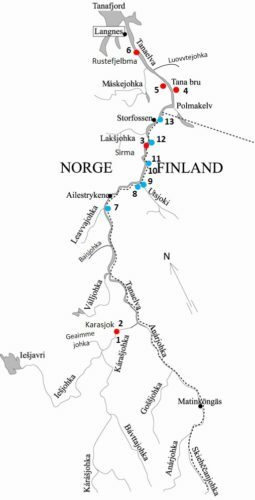 Both locals and visiting anglers may buy their fishing license at one of the license salesmen at Norwegian side. Visiting anglers that are buying license for the border stretch at internet must visit a compay to disinfect their equipment and activate their license. It is also possible to do this at several Finnish companies (se list below the map). 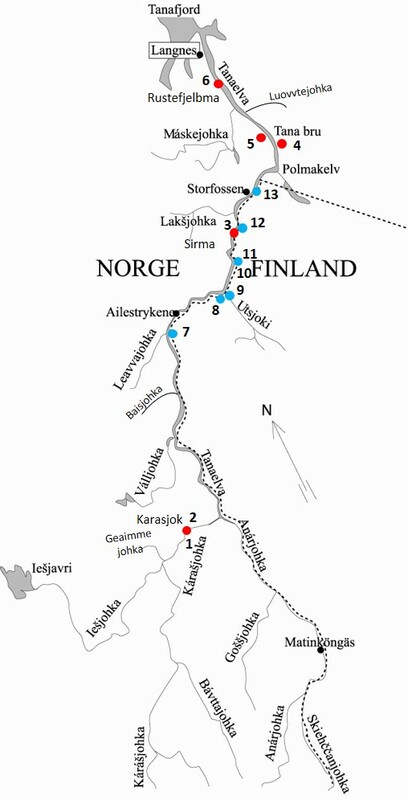 Map of the Tana water course with local businesses where you can buy Norwegian fishing licenses are tagged. Remember that the fishing license is valid only as long as you carry proper identification.